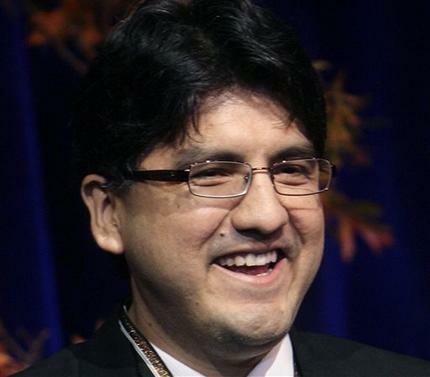 Author Sherman Alexie talks writing and race | The Gettysburgian. On the evening of Sept. 8, 2015, The Gettysburgian sat down and spoke with Sherman Alexie, author of “Flight” and the autobiographical novel “Absolutely True Diary of a Part-Time Indian.” He is also the author of numerous poetry books, short stories, and has co-produced a film. Alexie is also of Native American ancestry. The author was in town to speak to Gettysburg College’s Class of 2019, since he was the author of “Flight,” the class’s required reader for the summer. The interview took place in the lobby of the Gettysburg Hotel where Alexie was staying. When he arrived in the lobby area, he greeted me with a bright smile and a firm handshake, and we proceeded to sit in a will lit area of the lobby, where he could see the entire town square. I know you are here at Gettysburg to speak about your book “Flight.” Can you tell me what you would like people, especially young people to get out of your book, “Flight”? Also what audience was “Flight”written for? “Flight” was written for everybody. Which one of your many works are you most proud of? It has to be The Business of Fancy Dancing. That’s the one that started it all. I was kid then. I look at my photo on the back cover and I’m like I look like I’m 12. What was your initial inspiration for sharing your stories? Today what is your biggest inspiration for writing? Impress girls in my writing class [He laughs]. Now it’s for the audiences. I do it because I enjoy making people have emotional responses. Yes, very much so. I’m not a guy who marches, but I do travel, and I share stories of pain — pain and depression. For some who has not read any of your works yet, which would you suggest for them to start with? And why? Start with Absolutely True Diary of a Part-Time Indian. It’s the most accessible and straight up the most compelling. I do. I’m making a picture book, a children’s book. It should be coming next spring and it’s called Thunderbook Junior. Also next year I will be publishing a memoir about my mother and I. She passed recently and I wrote this for her immediately following. The book will be called Dark Wonder. In this article, the questions marked by bold print were asked by Raichl Davenport. The responses, in plain text, were spoken by Sherman Alexie.